Immerse yourself in local life & cuisine on a bite sized experience in Beijing. Meet our culinary experts as they take you through the capital’s Hutongs, most exciting markets and delicious eateries. Make dumplings with a local family, learn all about the scrumptious Peking Duck and savour the amazing flavours of Mongolian hotpots. 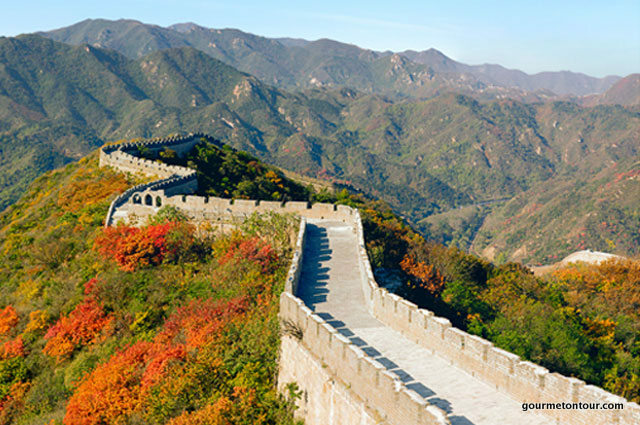 Experience Beijing’s historical and modern sights to a sunset on the peaceful Great Wall. For a healthy balance, we will bike, walk and hike a little so you can comfortably indulge your taste buds and sample the full spectrum of traditional and contemporary Chinese fare. This short culinary journey will take you off the beaten track and reveal Beijing’s true spirit and cuisine. Beijing has been the political and cultural heart of China for centuries and offers a wide range of regional Northern cuisine waiting to be savoured. With its unique history it is an amazing place to discover, from the impressive Forbidden City, Gate of Heavenly Peace and Tiananmen Square, glitzy modern towers, Olympic Park, Ming City wall to the Hutongs. We will discover the imperial, old and new Beijing, visiting its major highlights and exploring the lively alleyways and markets. Spend a night near the country’s most pleasant scenic spots and one of the world’s most famous sights, the long and lonely Great Wall, winding between hilltops just north of the capital. Beijing is famous for its hotpots, dumplings and the Beijing Duck. This later has been prepared since the Imperial era and is now one of China’s national foods. Ducks are bred especially for the dish, which consists mostly of the thick, crisp skin with a moderate amount of meat, which the cook carves in front of the guests. The duck is generally eaten together with thin pancake wraps, spring onions and hoisin sauce. 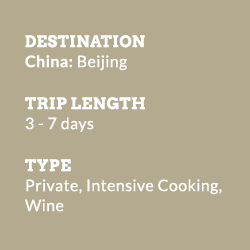 Airfare to and from Beijing, alcoholic beverages and meals not specified. Fly directly to Beijing. We arrange all local transfers. Late morning arrival in Beijing, China’s capital city and the starting point of your culinary adventure. Here you can not only find Beijing cuisine, but cuisines from all corners of China including Uighur, Sichuan, Cantonese, as well as international food. Time to roll up your sleeves and dig in! 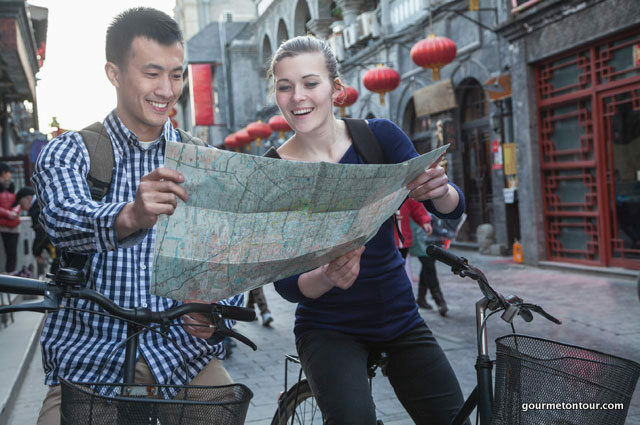 Today we experience Beijing and its food in a more modest way by walking through the Hutongs, the narrow alleys in old Beijing, on a “Hutong food walk.” This will include traditional local dishes and those from other parts of China. Start at the center of Beijing at the Bell Tower to taste Beijinger’s traditional dishes before walking through the market, and have lunch at an authentic Uighur restaurant. Finish at Houhai Lake area where you are free to explore. Welcome dinner will be Peking Duck. There’s an opportunity to see and learn how the Peking duck is made. 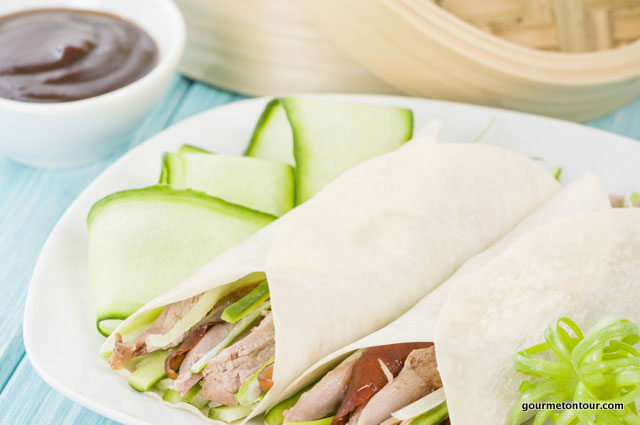 Peking duck: This famous dish from Beijing has been prepared since the Imperial era and is now one of China’s national foods. 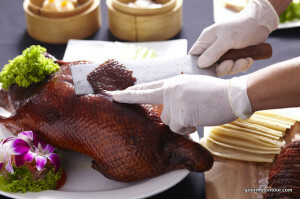 Ducks are bred especially for the dish, which consists mostly of the thick, crisp skin with a moderate amount of meat, which the cook carves in front of the guests. 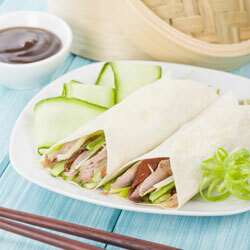 The duck is generally eaten together with thin pancake wraps, spring onions and hoisin sauce. 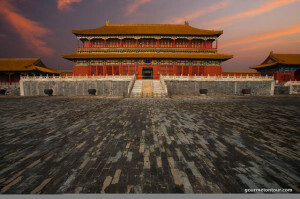 The day starts from the center of Beijing – Tian’anmen Square — and a walk to the Forbidden City. This was once the Chinese Imperial Palace and has a history of almost five hundred years. 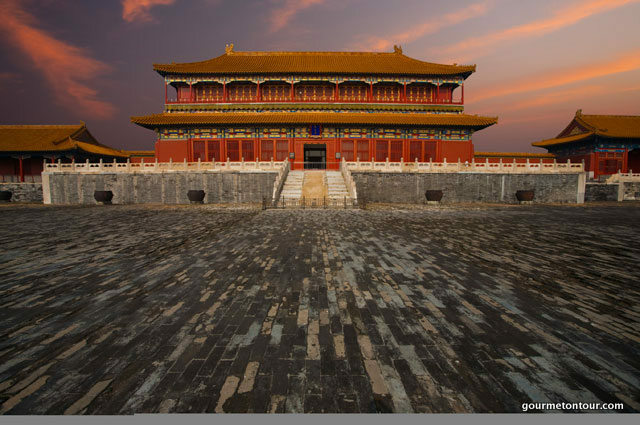 It is said to be the world’s largest existing palace complex with 999.5 rooms. While walking in the city, you can retrace the Chinese history from Ming Dynasty to the end of the Qing Dynasty. Lunch will be arranged in an authentic Hutong as we’ll learn to make dumplings. Dumpling is a must for every family in the northern China, so we’ll learn this skill step by step. After lunch, we’ll have a bike tour in the city to see the Ming City Wall and the Olympic Park. Savour for dinner an authentic Beijing style hotpot, also known as Mongolian hotpot (which is very different from the Sichuan spicy one). Optional foot massage to relax after a delicious and long day! 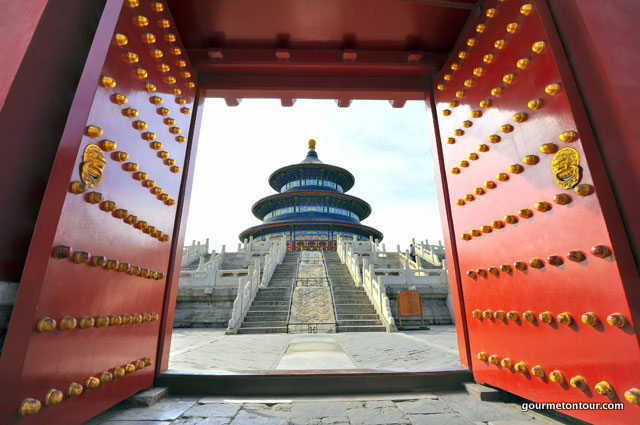 Morning we visit the Temple of Heaven Park, where we can see various activities i.e. Taiji, ribbon dance, sword dance, water calligraphy. 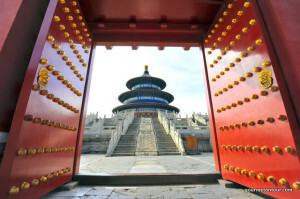 Then visit Temple of Heaven, literally the Altar of Heaven, it is the prayer palace for good weather and bountiful harvests by the emperors of the Ming and Qing dynasties. Today we transfer to the Great Wall at Juyongguan Pass, which is comprised of four defensive lines across 20 km in the Guangou Valley. 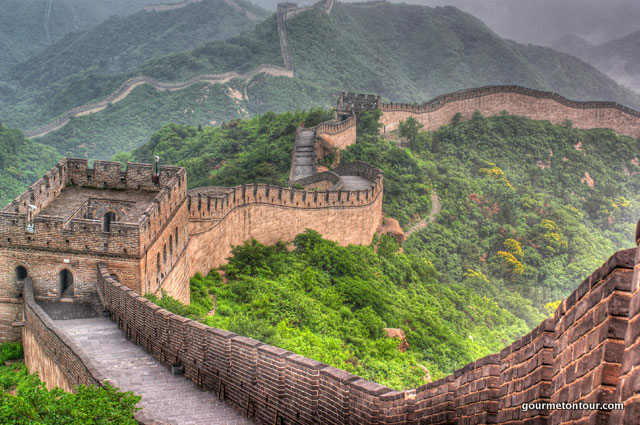 This defensive system, unique to this section of the Great Wall, took more than 200 years to complete, and, at its peak, had over 10,000 men stationed here to defend China. One of the highlights is Yuntai, the remaining marble foundation of a tower built in the Yuan Dynasty (1271-1368) for the emperors who traveled through the ravine every year on their way to the Imperial summer resort in Inner Mongolia. 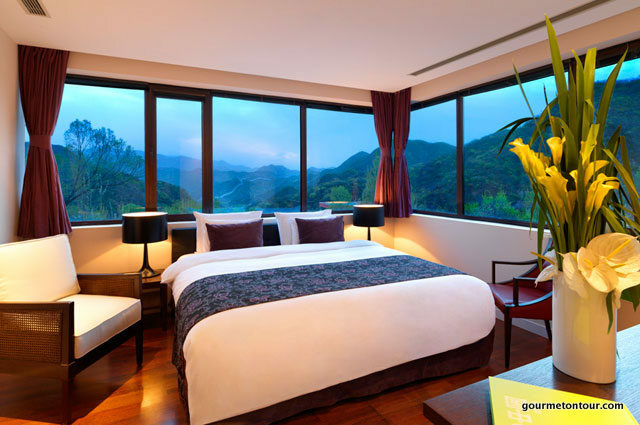 Overnight at Commune by the Great Wall, a private collection of contemporary architecture designed by 12 Asian architects, beautifully tucked away in this secluded valley. A once in a lifetime experience! Optional: Cocktails and BBQ dinner at your hotel where you can see the Wall in the distance. In the morning, we’ll do a short hike on the exclusive section of Great Wall in the hotel. 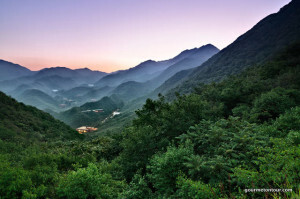 Return back to Beijing and visit the 798 Contemporary Art District – the very center of China’s contemporary art scene. Once a series of deserted factory spaces designed and built in cooperation with the East Germans during the 1950s, 798 is now home to numerous galleries featuring a variety of avant-garde paintings, photography, sculptures and the occasional multimedia installation. Lunch at a very Beijing cool restaurant nearby, known for the fresh ingredient and no MSG guaranteed. The décor of the restaurant is extremely interesting as they have a nice collection of old furniture from the 70s and 80s. Transfer to airport and fly back to Shanghai in the afternoon.